The Twelfth Karmapa, Changchub Dorje was born in 1703 at Kyile Tsagto in the province of Dege, East Tibet, just as predicted by the Eleventh Karmapa. Two months after his birth, he declared that he was the Karmapa. Tertön Mingyur Rinpoche confirmed the incarnation immediately and told the Karmapa’s father that soon he would no longer have to sell pottery, because his son would become one of the greatest masters in the Land of Snows. Chökyi Döndrub, the Eighth Shamarpa, had sent a search party and his envoys brought the child to Tsurphu. Upon their meeting, he recognised him in accordance with the previous Karmapa’s prediction and instructions. Changchub Dorje was enthroned with the Black Vajra Crown as the Twelfth Gyalwa Karmapa at Tsurphu Monastery and received the entire Mahamudra transmissions and teachings. The young Karmapa then studied under many illustrious masters and later also shared the Kagyu teachings with masters of other lineages. He imparted the profound Mahamudra teachings to the supreme Nyingma master of Kathok Monastery, who in turn gave the sacred Dzogchen teachings to the Karmapa. Together with the three regents Tai Situ, Gyaltsap and Shamar Rinpoche, the Twelfth Karmapa went on pilgrimage to the sacred places of Nepal and India. Upon arrival, The King of Nepal welcomed the Karmapa and entourage wholeheartedly. He was extremely grateful to Changchub Dorje for having averted a raging epidemic in his kingdom and for having stopped a crippling drought by causing rain. They visited the three great stupas of Swayambunath, Boudhanath, and Namo Buddha, where Lord Buddha in a former life had given his flesh to a starving tigress and her cubs. From there, they went to Kushinagar, the site of Lord Buddha’s Parinirvana. 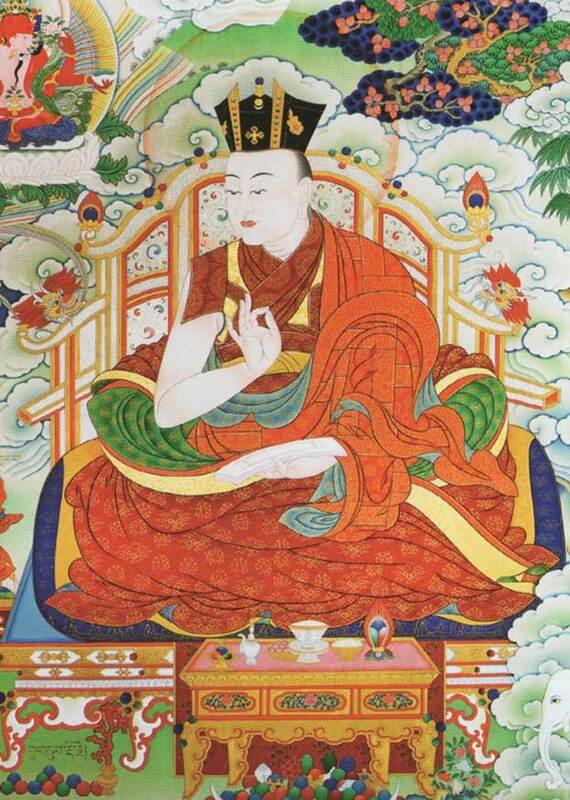 After Karmapa Changchub Dorje returned to Tibet, he received an invitation from the Emperor of China and, accompanied by the Shamarpa, set out on the journey. It was a time of great unrest. The Dzungars, who had occupied Lhasa, were driven out by the Chinese Ch’ing Emperor three years later, and following the withdrawal of the Chinese, a civil war broke out. Foreseeing further political upheavals in his homeland and realising that it would be necessary to leave his body, the Twelfth Karmapa wrote a prediction letter and sent it to the Eighth Tai Situpa, informing him about the details of his next incarnation. 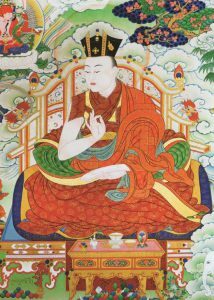 In 1731, he succumbed to smallpox at the young age of twenty-nine, as did Shamarpa two days later. The Eighth Tai Situpa became his spiritual heir.